Amenophis was founded in 1978 by Michael Roessman, Wolfgang Vollmuth, and Stefan Roessmann. The name was taken from an Egyptian Pharoah, and was meant to have international appeal. They recorded their first album in their own apartment / studio in the summer of 1983. Lack of sales forced them to sell all of the equipment, thus breaking up the band. 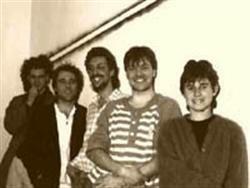 In 1987 fate smiled with an offer to record a second album. This lineup would include Kurt Poppe on keyboards, René Kius on drums and Elke Moehle on vocals. Stephan was replaced (with his blessing) due to health problems. The tour for "You and I" lasted until the summer of 1989. Afterwards, with commercial success still eluding them, the band broke up for good. From the beginning constant touring aided in honing their skills. Yes, Camel and Genesis are cited as major influences. A commitment to complex progressive music, and their own compositions, kept them from continuing with careers in music. In the same year as Yes seemed to hammer the final nail into the coffin of their classic sound with 90125, Amenophis offered up a reinvigorated take on it on this delicious album. Not content to be a mere clone band, the German unit do an excellent job of updating the Yes approach both for 80s production standards and synthesisers. In particular, they seem to have a real knack for appreciating the particular properties and possibilities of 80s synthesisers, rather than making the error of simply treating them like fancy updated versions of 1970s synths, and they really go to town with exploring the possibilities of applying this to a mid-1970s Yes sound. As well as the music, Amenophis also update their lyrical concerns for a new generation whilst still retaining the air of fantasy which was so appealing about Yes. This is perhaps best realised on The Last Requiem, in which 1980s concerns about a resurgence of the Cold War and a potential nuclear conflagration creep into the lyrical approach and also inform some spooky sections which, outside of The Gates of Delirium, Yes never approached in terms of atmosphere (though the music here is not quite so complex as that epic). Although the followup would prove to be a major misstep, Amenophis' debut stands as a worthy contribution to the prog revival of the early 1980s, and in particular an interesting instance of a band incorporating sonic advances of the 1980s into a prog framework without sliding into full-blown neo-prog. 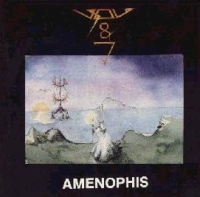 ''Amenophis'' was a great album, but as expected it only sold a few hundred copies in mid-80's with Prog Rock being totally out of fashion.The band dissolved, but in 1987 Music Is Intelligence showed some interest in this release and decided to offer the band a chance to record a second album under professional circumstances.Wolfgang Vollmuth and Michael Roessmann reformed Amenophis without Stefan Roessmann, who faced some health problems, and they were joined by Elke Moehrle on vocals Kurt Poppe on keyboards and Rene Kius on drums.The album ''You and I'' was recorded in two weeks and released in spring 1988. I admit that there are quite a few reasons to dislike this album, the main ones being the accesible tunes of a Pop quality, but consider that bands like Pendragon and IQ were facing the same problems in late-80's, struggling to find a balance between progressive and poppy vibes.The truth is that Amenophis had intentionally produced an album half split between straightforward songs and more proggy overtones.During the later ones they had quit from their big symphonic sound with the strong Teutonic edge of the debut, but they still retained the symphonic qualities and refined arrangements of the period.They just seem to sound closer to IQ or MARILLION in these pieces, maybe with bits of ROUSSEAU, which are dominated by great keyboard layers, symphonic background orchestrations, melodic guitar solos and sentimental male and female voices.The level of the compositions is pretty good with a familiar German aura and even some complex themes, mainly based on keyboards and synthesizers.The more accesible tracks are ranging from decent to uninteresting, some of them feature influences from Classic Rock, Jazz and Acoustic Music, but the good thing is that in big part of them the band always throws in a few proggy twists, while the melodies are memorable and well-crafted. Underrated album from the worst period for progressive music.Good Neo Prog with hints from Amenophis' recent past, based on less complicated ideas and leaning towards more melodic lines.Recommended. 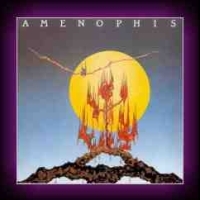 AMENOPHIS' self titled 1983 debut is regarded by many as a masterpiece of symphonic prog. Its moody and mystical world enveloped the listener in a spell not broken until sometime after the last bonus track (yes, bonus track!) had reached homeopathic decibel levels. Unfortunately, the album achieved little sales success, and the band was only able to release a follow up if it met certain commercial standards, hence "You and I" from 1988, a decent pop prog album but with few of its predecessor's charms. It sold only a little better, and that was pretty much that, perhaps. In the intervening 26 years, particularly in the internet age, it was easy for fans to track the micro movements of the group via their web site and the openness of MIchael Roessman via email. Snippets of unreleased tracks gave hope that the band's heart was really in the extended prog compositions and arrangements, and, freed from any pretensions of commercial success, they could return to that well of inspiration. Sure enough, a full quarter century later, they have returned with "Time". Two of the original three members remain, with the album being dedicated to the third, Stefan Roessman, who in 1988 was unfortunately already too ill to soldier on. The "Overdue Overture" pays respect to long time fans in title and in sound, by incorporating passages from at least one early track, and includes at least one theme to follow on "Time". I attempted the exercise of identifying more but finally succumbed to its iridescence. From here the band alternates through a series of good to excellent tracks of varying lengths and progressive pedigrees. The result is a blend of the previous two releases, but with a pristine production that generally enhances but sometimes detracts from the experience. If you are familiar with th first album, you will understand even if you don't agree. Both Michael Roessman and Kurt Poppe shine on guitars and keys respectively and the shared vocals are far superior to what has come before. The band continues to draw justified if simplistic comparisons to YES, GENESIS, CAMEL, ELOY, and ANYONE's DAUGHTER among others. Back when I reviewed ERIS PLUVIA's excellent "Third Eye Light" in 2010 (itself released after a near 20 year gap), I drew some comparisons to Amenophis on one of the tracks, and sure enough the favor has been returned , on "Puppet Master". "The Sandglass Symphony" and "Avalon" are cut from a similar cloth, elaborate and sweeping, with a variety of blended passages, "Avalon" being more epic, including funky bass, spanish styled guitars, and soaring leads. "Some Times" and "You" are both lovely ballads, the latter reminding me of something John Lennon might have done. You might find it a bit sappy, but you might also not be able to shake the melody, and the majestic outro will win you over anyway. Now we get to "Mrs April McMay", the most accessible track here. I don't think Marshall McLuhan had this in mind when he coined the famous "The Media is the Message" maxim. Here we have a testosterone driven, presumably middle aged man, collapsed on his easy chair as the lovely Mrs McMay dispenses the bad news of the day, to which he is gleefully immune. A similar theme was explored decades ago by Aussies REDGUM in "It doesn't matter to me". Listen for the "footage" at the end in which April with utter professionalism announces the end of the world. Musically this is also a breezy indulgence. "The Wheel of Time" is my least favourite, and could have been and maybe was a rerecorded outtake from "You and I". A couple of very short tracks are thrown in, the better of which is "Intermission", with lovely Crimson like flute and piano. I need to mention that, while the debate rages on about possibly uncredited flute on the first album that might have been synthesizer, this is definitely the woodwind and it is, again, uncredited, at least on the band website. I will always hope for Amenophis to offer up an album to compare with their 1983 beginnings, but that is unfair. What we have here is an updated labour of love performed by artists for whom music springs from the spirit. I know there are some other fine pieces in the vaults, like "Sylvan Faun", and hope that the next wait is shorter. After all, most of us who were "there" don't have that much time to wait. It´s understandable the deception a lot of people had when they heard Amenophis sophmore LP You And I. The group traded their debut´s symphonic prog to a sub par neo prog sound in 1988. Ok, it might had had some commercial pressure since they had not been successful on the first attempt, but the results are not satisfying in any way.. Original drummer Stephan Rößmann had left due to health reasons and the two remaingin members. guitarrrist Michael Rößmann and bassist Wolfgang Vollmuth were joined by three new ones: vocalist Elke Möhrle, drummer Rene Kius and keyboardist Kurt Poppe. While not at all a total disaster, it is clear that Amenophis was trying to jump into the neo prog movement, even if it was not any novelty at the time, in fact it was waning fast. The music here is quite varied and, in this case, a bad thing, since it showed more a lack of personality than a truly versatility they seemed able to deliver. The first track, an instrumental called Opening (The Dance Of The Pyramid) is a typical 80´s neo prog guitar/synth led, very much in the vein of Marillion, but without any real hook or memorable melody line. Things star to get a little better with the second tune, Forever Is A Long time, but again it is nothing special, sounding like an Yes song leftover from Big Generator´s sessions. Möhrle´s voice is definitly forced here to mime Jon Anderson´s high pitch. Bassist Vollmuth take over lead vocals on the third track, The Key Of Life, but things do not improve much, although Rößmann´s guitar solo is quite moving. There are three more instrumental tracks along the way: the fast Classic Contact (a typical 80´s neo prog sample) the varied, but not much satisfying (again) Interludes of Bright Wheather and the soft but dull closing track Ghostball. The best song is definitly Storm, with its strong Renaissance overtones where Elke Möhrle proves she can sing very well when her voice is in her right tone. However, Close to The Sea is the worst: Vollmuth takes the lead vocals again for this mix of musical comedy/jazzy/rap; A real waste of fine musical prowness. His Special Way is not that bad, maybe because Möhle handles the vocals and the jazz/blues/cabaret style is well suited for her. Still, far from their best. Small wonder this album failed. Typical case where the musicians are excellent, the production is good but the songs are weak and forced. Some friends at the ProgBrasil forum talked about this obscure German band raving about their come back, but I had never heard of them until then. It´s hard to believe any artist, in Germany or elsewhere, releasing a symphonic prog album in 1983. So I thought it must be pretty damn good to do so. And when I finally got the CD, my feelings were mixed. Nothing original, although no copycat either. Strong Camel influences, of course (there´s even a few bars that comes close to The Snowgoose on The Last Requiem), but there is more than just that, with classical, flamenco and jazz overtones all around. I guess it could have been a lot better if they released a completely instrumental album or at least had the trouble to get a decent singer. Vocals are weak and with a strong accent, making those sung parts the least enjoyable moments of the album. It seems they knew that, for the vocals are put too low in the mix. However, the songwriting is pretty good overall. The massive 24 minute epic The Last Requiem have several excellent sections, but it has a few boring ones too. I guess they tried to bite more than could chew at the time. I specially liked the very fine guitar parts (acoustic and electric) and the Bardens-like atmospheric keyboards. The rhythm section is good, if not too outstanding. Production is also only adequate (wonder if they had a better producer and a top studio...). Some flute semes to be added on a couple of tracks but the player was not credited. My CD has five short bonus tracks, strangely all bearing french titles, and has little to do with the original LP, being acoustic guitar/keyboards instrumentals with a new age feel on them. I wonder when, why or how they were recorded. Nice, ok, but they don´t add nothing to the (very good) group´s debut work. Rating: something between 3.5 and 4 stars. I found this album to be more promising than really excellent, although some parts are, really. A little disjoined bits and the poor vocals mar the overall greatness of it, but not much. If you´re into early Camel, however, you can´t miss this one. I´ll round up to four however, because at the time it was released it was great compared to what was being produced. Certainly it was a bold move that didn´t pay off (at least commercially) and they deserved to be more appreciated by the prog community. 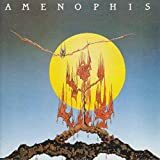 Amenophis' self-titled album was a decent enough symphonic prog album - perhaps inclining a little heavily towards Yes worship, but a reasonable listen if that's the sort of thing you're really heavily into. Their second effort bears a title - You and I - which might make you think more Yes- inspired symphonic material is to come, but it was not to be - it seems that the band were making an effort to clamber onto the neo-prog bandwagon, but weren't quite sure how to go about it. What a revelation! Listening to this the first time I was simply blown away. How could I have not found this sooner? Another masterpiece lost to time? Suntower - breathtaking use of music that can almost be described as scenic; ever soothing, never boring. The Flower - a great balance of music and vocalization working together to complete the 1, 2 opening punch. Venus - a little darker, spacier sound with excellent precussion throughout and an inspiring musical break that carries you through the rest of the track. The Last Requiem - Light winds and heavy riffs melt into driving drums which give way to a pure display of instrumental excellence at every level. I'd call it a jam if it weren't so well thought out and pieced togther. With parts both soft and beautiful, and fast and skilled this song is worthy of a place alongside the other, more well know, classic epics of the genre. You'll swear you can even feel the wind rush past your face at times. The vocals hear are similar to Eloy's in delivery style but Vollmuth's voice is a tad more gentle. Le vivant montmatre & Une promenade sur la rive de la Seine - light and airy, perfect balance from the previous track. Relaxing while still being interesting. La vue de la tour eiffel - a little bit of a folky feel with the acoustic guitar complimented by the type of sweet, angelic music they used to strive for in mass'. If you enjoy being able to close your eyes and have the music take you on a journey than I can think of no better album for you. The music here is so rich that your imagination won't have to work at all. Amenophis is an experience, not an album. Was hard for me to imagine that at this point in my Prog journey I could still be blown away by an album but I was ever so pleasantly surprised here. I can't see giving this any less than 5 stars because it is an absolute masterpiece that more people need to discover, own, and cherish. This German band did release a very good debut album five years prior to this one. The comparison with their debut doesn't work in favour of this You & I. An album full of boring songs I'm afraid. Once in a while some fine guitar will wake you up, but I was expecting more from the band. Very few exciting moments, some being really hard to listen to and accept. A few are still worth, like the rocking Classic Contact which features splendid musicianship. But I guess that this is just the least we can expect from a professional band. The worse is reached with His Special Way. I'm looking hard to find any interesting aspect in this song. A sub-sub-Blondie track. I truely loved the original (Blondie I mean, in their 1977 through 1979 days) but Amenophis sounds so alien to this music that they shouldn't have tried to walk so many miles away from their roots. After such a disgusting track, it is a real pleasure to listen to Interludes Of Bright Weather even if it is so much borrowed to Steve (Howe). Onother good tune (there aren't so many) is Close To The Sea, a fully Renaissance oriented song. If only the band would have produced more of this type. Instead, they were heading to more jazzy and dull stuff like Ghostball. In all, this album is rather weak. I was extremely enthusiast about their debut and after having listened and reviewed this one, I can only tell you to stick to Amenophis if ever you would be interested in their work. Their new female vocalist is just average, passion is non-existing, melodies... did you say melodies? Forget it! Only a few strong guitar breaks and harmonious keyboards are in essence the only positive ingredients available in this album. To release a debut album in 1983 has nothing special, per se. But should the album been a progressive work of interest is another matter. And "Amenophis" did a good job on this one. Purist might say that some musical lines are borrowed, I just feel that the music displayed here is very pleasant, diverse yet mostly instrumental. From the wild and hectic opener "Suntower", the listener is plunged into a sweet and very delicate "The Flower" which features some fine English vocals (which is not often the case with German bands, unfortunately). Some pastoral moments combined with more rocking ones are a winner. Melody is never forgotten either. This band deserves the attention of any symphonic prog enthusiast. They had their influences of course, but to have the courage to release such a work in those progless times surely deserves high recognition. Not all compositions are great of course (otherwise, this album would have been a masterpiece), but even in the weakest moments, "Amenophis" scores rather high ("Venus"). The central piece of the album is of course "The Last Requiem". A twenty-four minutes epic full of sublime guitar breaks (wild at times, atmospheric during others). The band (and the lead vocalist) being at unison. Even if it is deeply related to the early mid-seventies, the music is really enjoyable. But I belong to that generation (as to the blank one, but this is another story). This epic will appeal to all early "Camel" fans. Emotion in the guitar play and fantastic harmony are mixed with some more (short) jazzy passages. Actually, this is the archetype of symphonic prog music (by far my fave genre). 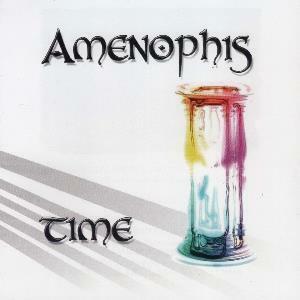 Unlike many other bands of the time, "Amenophis" succeeded in being interesting throughout their effort. They can't be consider as too cloned, like many others IMHHO. At least during this album which I consider as a very good one. Amenophis only managed this one followup to the self titled symphonic masterpiece, and it was a major departure, as the band tried to do what they felt necessary to received radio play and better sales. Any additional sales turned out to be marginal, or at least not enough to allow the band to soldier on further. After such an ethereal, cerebral debut, "You and I" is much more energetic, indeed poppy in parts, but retains the meticulous approach to arrangements. Vocals are more prominent and they attempt to be more sing-songy than before, where they really blended into the mix. Elke Möhrle acquits herself well on vocals, especially on "Tomorrow is a Long Time" and the very Renaissance like "Close to the See", where she trades off admirably with Wolfgang Vollmuth. Several fairly routine yet modestly progressive instrumentals help the CD achieve variety within a simple and highly accessible symphonic framework, as does the almost rap-like "Ghostball". The guitar and bass riffs make this the heaviest song of the group's career, although the competition in that department is scant. For those expecting "Amenophis Part 2", you will be very disappointed, but for those who can suspend disbelief, or for whom the first recording was no great shakes, this is a pretty decent neo styled album. A visit to their website revealed a lot of tracks still in the vaults, some of them alot more progressive sounding than what is here, but, given the lag of almost 20 years, the band would need more encouragement than you and I alone could provide.